The official Brexiteer campaign organisation at the 2016 referendum has been fined tens of thousands of pounds and senior figures referred to the police for breaking electoral law. Vote Leave, which was supported by senior politicians including Boris Johnson and Michael Gove, failed to declare money it spent with controversial data firm Aggregate IQ, the Electoral Commission said. The commission said its investigation found “significant evidence” of joint working between Vote Leave – which has been fined £61,000 – and youth Brexit group BeLeave, which was founded by student Darren Grimes. It sparked calls from Remain-supporting MPs from across the political spectrum for another referendum, either a reply of the original or a second vote on the terms of the Brexit deal. The Commission found that a donation of almost £680,000 made by Vote Leave to BeLeave was spent with Aggregate IQ “under a common plan with Vote Leave”, and should have been declared. As well as Mr Johnson, the former foreign secretary, and Mr Gove, the current Environment Secretary, it was supported by MPs including Transport Secretary Chris Grayling, International Development Secretary Penny Mordaunt and her predecessor Priti Patel, the new Brexit Secretary Dominic Raab, with leading Labour Brexiteer Gisela Stuart as chairwoman. Mr Wylie worked for Cambridge Analytica, the data firm at the centre of the Facebook privacy scandal, while Mr Sanni worked with BeLeave. 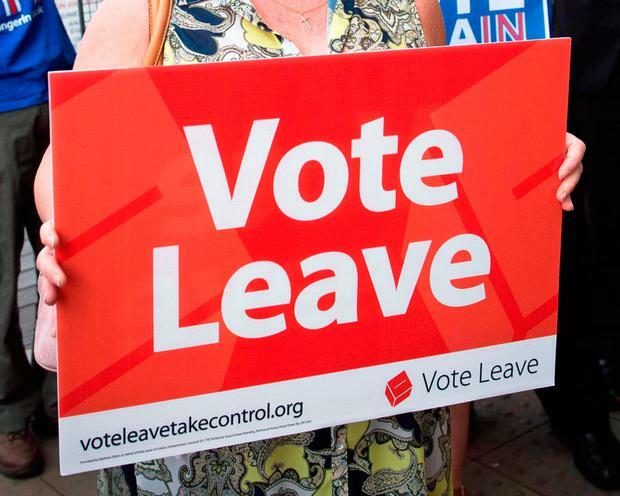 Vote Leave is the latest Brexiteer referendum group to be castigated by the Commission after Leave.EU was fined a record-equalling £70,000 and its chief executive Liz Bilney referred to police in May over its spending. Vote Leave said the Electoral Commission’s report contained “a number of false accusations and incorrect assertions that are wholly inaccurate and do not stand up to scrutiny”. But the Electoral Commission report said it asked Vote Leave on numerous occasions between November 2017 and February to attend an interview, but it did not do so. Mr Grimes said the fine was “entirely disproportionate and unjustified”. Labour’s Chuka Umunna, who raised an Urgent Question in the Commons on Tuesday, told MPs the findings of the Electoral Commission were “shocking” and said Vote Leave’s actions were an “affront to our democracy”. Conservative former minister Sir Nicholas Soames called for the electoral system to be “blown up and started all over again”. Liberal Democrat Brexit spokesman Tom Brake said the public had been “cheated” and the ruling “strengthens the need for a vote on the deal and an opportunity for the country to escape this mess”. Asked whether Theresa May still believed that the referendum was free and fair, the Prime Minister’s official spokesman said: “The PM is absolutely clear that this was the largest democratic exercise in our country. Commons’ Digital, Culture, Media and Sport Committee chairman Damian Collins said it would probe ways of strengthening the Commission’s powers in its investigation into the use of data in the referendum.